Guys, those of you who are running the dual channel Bluespark box on your 1.6 dtec, what settings are you using? Thanks, on C6 at the moment but will leave for a few days to check that the car is Ok before moving on. Was thinking of going straight to D7. Keep me posted mate someone said d6 was not so good. That's why I wanted to try d5 first. Some good info on the old BMW forum I used to use. C8 also worth a try! E7 for me, which I think suits the CR-Vs twin turbo. Good progressive pull, responsive, eager, smooth and quiet. C6 is OK, but very occasional flat spot around 2.2k rpm. D settings make my engine feel rough, noisy (pinking clattering noise, I assume injectors) and unrefined... not tried lower than D5 so maybe will try D3/4 se if any better. Last edited by Bog; 21st April 2017 at 13:05. What settings are you all using now? Just switched from C6 to D5 tonight but only done a short test. Initial surge when coming on boost gone and pickup seems much smoother. Will have to do some more testing. So you've not felt the need to test D6 or D7 yet? I quite liked the default C6 but the initial power delivery wasn't smooth enough for my liking. I've been running E6 for the past few weeks, which seems a good all rounder for me. Was getting a little more injector noise than I liked with E7. Took the box off on Tues in readiness for the cars 1st service (and checked to see if any codes were stored.. all good). Iam driving on the Civic 1.6 diesel the D5 setting. Tried the D6 but could not noticed any change. Did anybody tried on the single turbo the "E" setting or going even higher on the "D"? Needs some help trying to fit pls as I have a plastic cover under my engine cover! How does this come off or does it hinge? Anyone with pics for install pls & where are the dam plugs! Last edited by Bog; 9th August 2017 at 15:39. Pic's aren't showing to anyone else tho as Photbucket have locked down sharing/hot linking. Without seeing the pictures; normally you need only remove the top engine cover. The bluespark instruction is very clear on the installation. Ok thanks hopefully showing now ? Last edited by bondwithme; 10th August 2017 at 07:46. 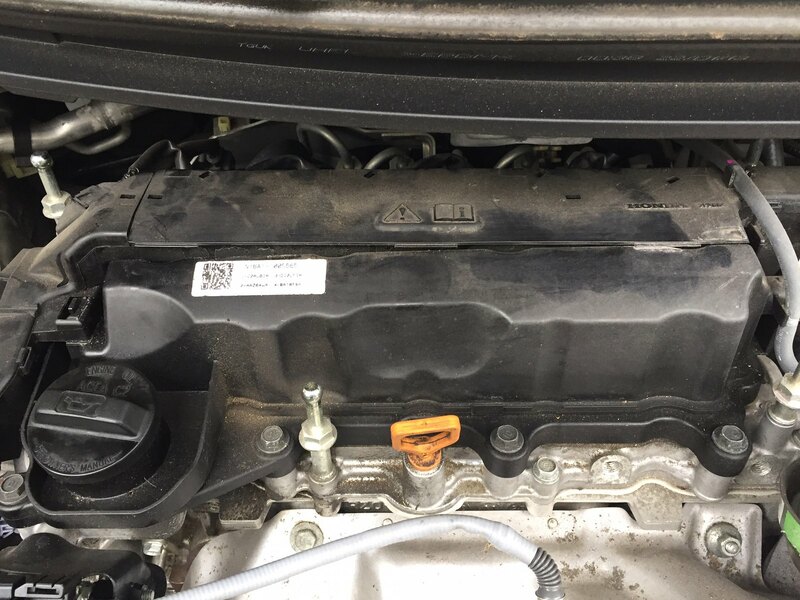 Under my engine cover I have additional plastic boxing over the fuel rail?? Can't locate the plugs because of it. 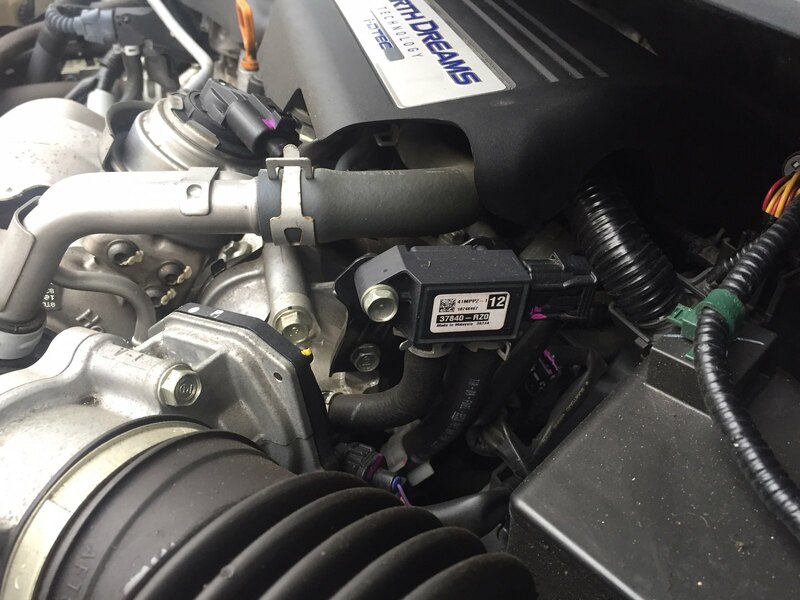 Is this the boost sensor? Last edited by bondwithme; 10th August 2017 at 07:44. Oh see, the CR-V's dont have this addition cover. Bog and Xa4cornelis like this.